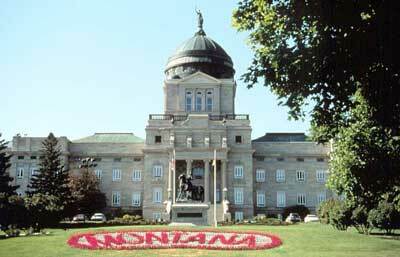 Each session, more than 2,000 bills are introduced in the Montana Legislature. Most of them are from well-intentioned legislators who are trying their best to represent their constituents. But sometimes these bills, if passed, could harm your business. Lobbying the state legislature is a high priority for our members. Brad Griffin is the Association’s registered lobbyist and has been at the Montana State Capitol for every session since 1995. As your lobbyist, Brad’s job is to advocate for laws that would benefit all of our members and to oppose bills that could harm them. Brad reads every bill to determine what the impact could be on your business. When necessary, he reaches out to members to ensure that his take on a bill’s potential impact is accurate. He then meets with legislators to share your business perspective with them. When appropriate, he will work with them to amend potentially harmful bills and, if that isn’t possible, will work with other industry lobbyists to get the bill killed. Working with experts within the membership, they develop testimony, send out Action Alerts to members and, when necessary, also to select legislators. While his focus is largely on the House Business and Labor Committee, the Senate Business, Labor and Economic Affairs Committee and the House and Senate Taxation Committees, Brad may also find himself involved with other committees, depending on the issues before them. Since many legislators decide what bills they’ll introduce long before the Session begins, it means Brad’s lobbying efforts require his attention year-round. Important issues that the legislature may look at in the 2019 Session include privacy, data security, and the recent Supreme Court decision that requires Montana sellers to collect and remit taxes for over 12,000 taxing jurisdictions across America. Retailer issues: tightening up penalties for first time offenders of shoplifting to enable the recording of the first offense, bad checks, and pharmacy issues. Equipment Dealer issues: dealer/manufacturer relations, wide load hauling, and first right of refusal for manufacturers when a dealer is selling, Restaurant issues: styrofoam bans, paid sick leave, alcohol issues, recycling issues, and crime & punishment. There are 150 legislators: 50 from the state’s Senate districts and 100 from House districts. Senators serve four-year terms and House Representative serve two-year terms. This means that every two years all of the House members and half of the Senate (25 Senate seats) – are up for election. Term limits mean a Senator is limited to two terms (8 years) and a House member may serve only four terms (8 years). In addition to lobbying for/against specific bills, Brad must also get acquainted with a lot of new faces each session and help them understand the challenges your business is facing. In the 2017 Session, the House had 59 Republicans and 41 Democrats. The Speaker of the House is Austin Knudsen (R). Republicans maintained their majority in the Senate with a 32-18 margin. Senator Scott Sales (R) is the Senate President. This may change after the November elections; watch this page for updates. FYI: Governor Steve Bullock and Lieutenant Governor Mike Cooney are both Democrats and they are termed out in 2020.